I recently discovered VANEATS and their excellent dining packages. The nutshell of how it works: you buy a dining package from their website for a restaurant with a set menu (usually a couple of options) and redeem the voucher for said meal. These locales have been tested and videotaped (yes, they have entertaining videos posted of their dining experiences) so you don’t have to take any chances. I bought one for Siddartha’s Kitchen on Commercial Drive. It is very comfortable, I sat in a plush black, velvet chair and handed over my dining voucher. I may have been the envy of the two ladies sitting across from me (or I’m just really into myself and that’s what I percieved) because I could feel them watching me as each course arrived. 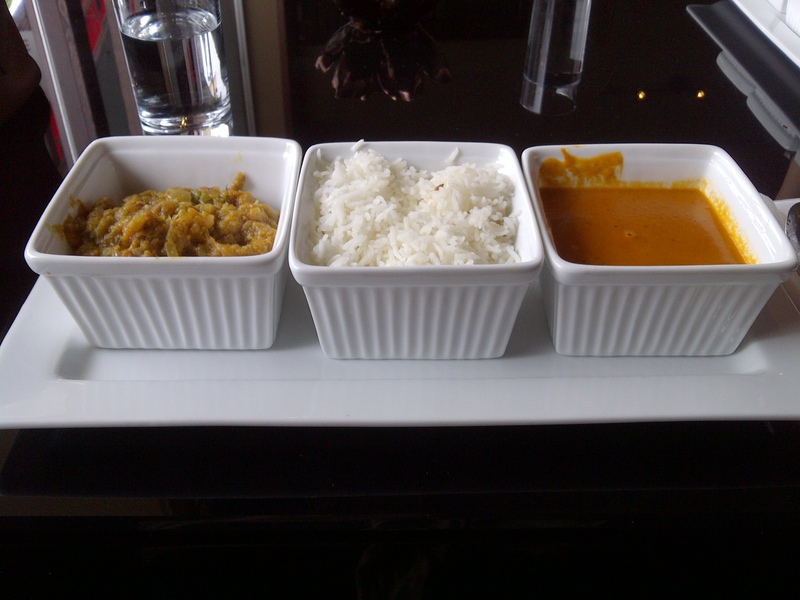 Yep, that’s right, today I indulged in a three course lunch. 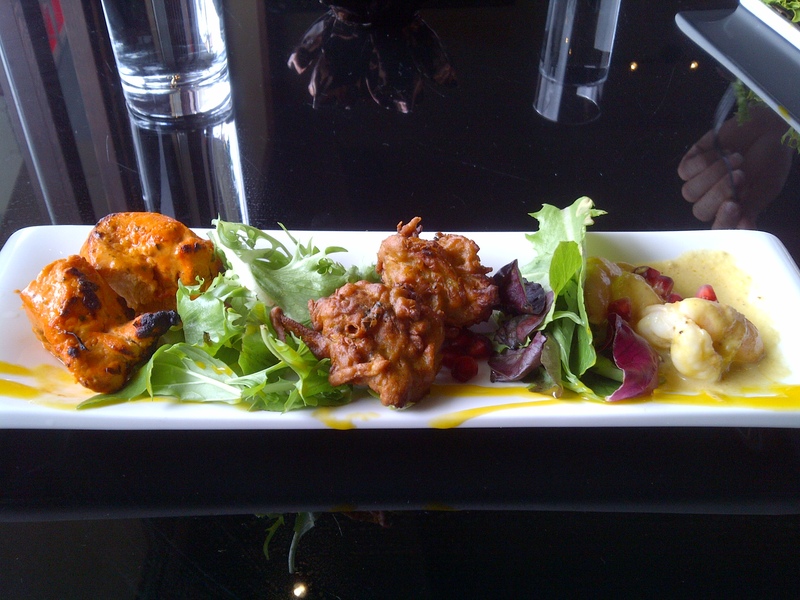 I started with a tasting plate of chicken tikka masala, vegetable pakora, and prawns. I loved the coconut mango sauce that the prawns were sitting in, so much so that I dipped the pakora in it, too. I loved the savoury flavours combined with the mild fruity flavours of mango and coconut, neither was overpowering. The main dish of the meal consisted of baigan barta, rice, butter chicken, and fresh naan with onion and cilantro . I wasn’t crazy about the baigan barta (eggplant) because the flavours were a bit of a let down from the starter plate and the texture was mushy, but I did enjoy the butter chicken and the naan. I loved the creaminess of the sauce, but felt that there were very limited chicken pieces. 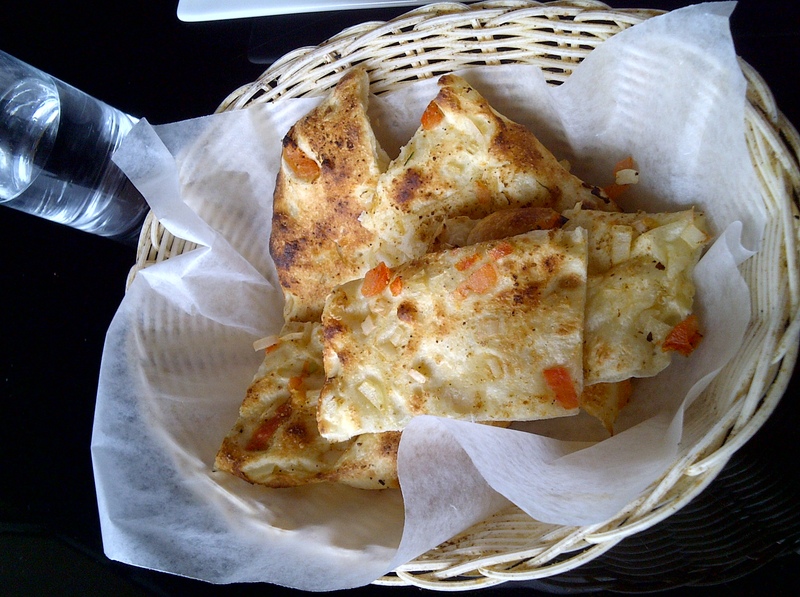 No matter, I sopped up most of the sauce with my naan bread until I could fit no more food into my tummy. Don’t be fooled, there is a lot of food in those bowls. 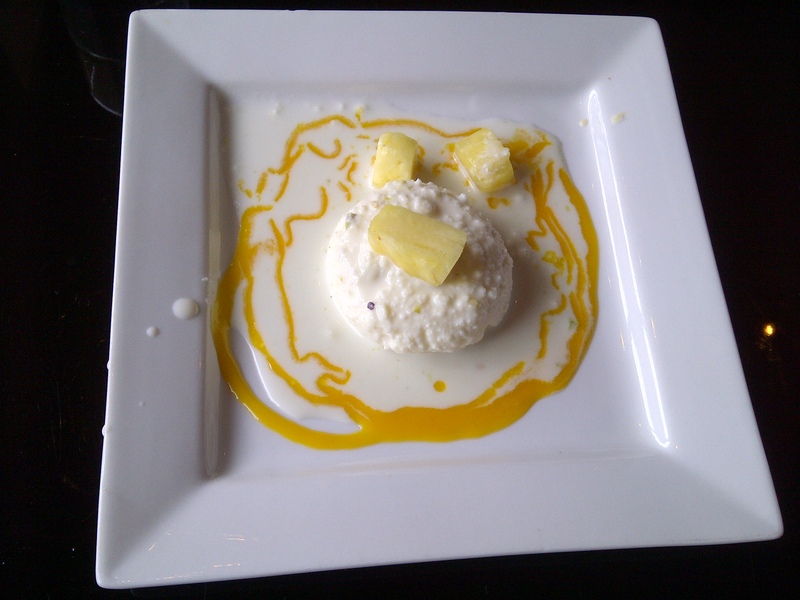 I did manage to fit in the ras malai, a syrupy laden cottage cheese dessert, surprisingly. It was a lot sweeter than I was expecting, but it was delicate at the same time. It had more coconut and mango flavours which tied the meal together. I was grateful that dessert was small, I was so full from everything else! My overall thoughts? I liked it. I probably wouldn’t go there for lunch again purely for the fact that my lunch break is only an hour and I was there for an hour and a half, but the food itself was good. It’s on Commercial Drive between 4th and 5th, I think you should check it out!